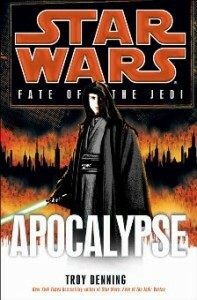 Did you read the end of Fate of the Jedi: Apocalypse first? 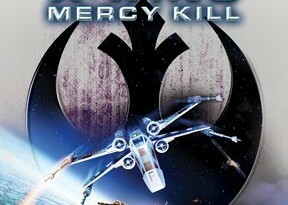 Polling is an imperfect technique and many other factors can weigh into the equation, but the feedback from readers here and members of the Lomin Ale Cantina confirmed my perception that a lack of faith from the fans has contributed to the reader dynamic with the Fate of the Jedi series. Customers were basically unsure if they wanted to invest the time or emotional energy riding it out to the end, especially if the ending was only going to bring more frustration or disappointment. The more I observe and blog about the trends in storytelling, it has become clear that faith or trust is crucial to building and maintaining fanbases. In the end, Apocalypse proved worthy of the time and emotional effort for most fans, but I think it’s fair to say that many fans would have enjoyed the experience more if they had felt like they could dive in and just enjoy the ride. In the Cantina, fans have been sharing their thoughts on the series as a whole now that we’ve had some time to absorb it all. As always, new voices are welcome. I’d like to note some interesting observations I’ve made. 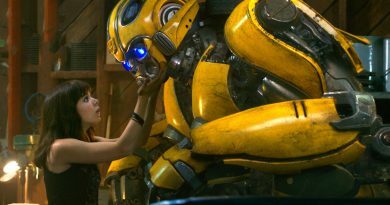 While my message is centered on raising the bar for female characters, this blog, my Twitter feed, and FANgirl Zone on Facebook have seen a continuing equitable following from men. And the balance of male and female contributors in our Fate of the Jedi discussion thread really drove home this impression that I had been getting over the past few months as the blog’s following has grown, which is that male and female fans want many of the same things from a story. While it’s useful to tell the Powers That Be what isn’t working, I think it’s equally – and maybe more – important to tell them what is. That’s one of the reasons I encourage readers to participate in discussions from the Star Wars Books Facebook page when they ask questions like What’s your favorite Hutt story or event? or Which character you’re hoping to see in the third Essential Guide to Characters. 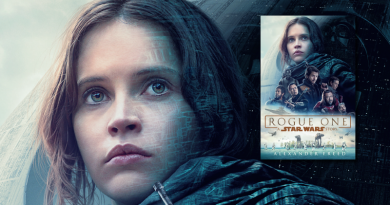 So in that spirit, our new sidebar poll is going to ask which three books from the Fate of the Jedi series were your favorites. If you have thoughts on the three books you picked, please feel free to use the comments section to elaborate.